Participants must have their PCS and CPT books available during the webinar. Clinical case studies will be available prior to webinar so the participant has time to read and code first on their own. PCS and CPT workout puzzle will also be provided in the handouts. Debra has over 25 years in Health Information Management, coding, billing, revenue cycle and Clinical Documentation Improvement. She has a Bachelor’s Degree in Business with a RHIA, CCS and CCDS. Originally from Michigan where she managed an internal medicine practice for 14 years, Coding Supervisor for Henry Ford Hospital Trauma I ER for facility and professional billing. Debra has worked at other large facilities like William Beaumont Hospital, Mayo Clinic, Scripps and Sutter Health as a consultant providing, coding, auditing and clinical documentation services. Debra is an AHIMA Approved ICD-10-Cm/PCS Trainer, currently working as an Inpatient Compliance Auditor and the AzHIMA Coding Roundtable Coordinator. Jo Ann has over 30 years of experience in health information management that includes coding in the rehabilitation and inpatient settings, supervisory level management, transcription, ambulatory HIM and discharge planning. She has a BS from Illinois State University in Medical Record Administration. She joined Channel Publishing’s Coding Services in 2006 and currently serves as Manager of Coding Services. She has contributed to the development of Channel’s Mastering ICD-10-CM/PCS Guidelines Exercise Books and has contributed articles to Clinotes, Channel’s companion reference to ICD-9-CM and ICD-10. Additionally, Jo Ann has been an educator in the HIM program at the Career College of Northern Nevada since 2012. 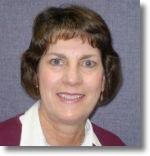 An active member in NvHIMA and the local association NNvHIMA, Jo Ann served as President of NvHIMA from 2007-2008. She served as Co-Chair of the ICD-10 Task Force in planning and presenting education for coders in preparation for the ICD-10-CM/PCS implementation. Currently, she is the NvHIMA Coding Roundtable Coordinator and an AHIMA Approved ICD-10-CM/PCS Trainer. Tamra K. Wood, RHIT, CCS, CCS-P is currently a HIM professional with 20+ years, she is a Proud Past President of the Nevada Health Information Association, and she has held many offices, such as Secretary, Director and Nominating Committee chair. She has served on the SNvHIMA board has the Treasurer. She was the recipient of the NVHIMA distinguished Member Award in 2008. In 2014 JoAnn Jones and Tamra Wood accepted the AHIMA Race Award for Coding Roundtable Leadership, this was an exciting moment she will never forget. She is an AHIMA Student Mentor with 3 students. Tamra has spoken many times at the NVHIMA Annual Convention. Some of these have been, “Use of Physician Office Modifiers”, “Interventional Radiology Guidelines and Clinical Cases”, “Outpatient CPT Modifiers and ICD 10 PCS Guidelines”. Tamra works for HIMagine Solutions has an Inpatient/Outpatient coder. She also works for Enjoincdi (formerly Huff DRG Review) as an ICD 10 PCS Auditor/Consultant. Tamra’s areas of expertise include Coding of Inpatient records, ICD 10 CM/PCS and Outpatient records, ICD 10 CM/PCS and CPT. One of the things that Tamra enjoys doing, is the Raffle ticket sales at the NVHIMA Annual convention. All of the proceeds go to “Opportunity Knocks” which helps a student with expenses.